Traveling through New York means either walking, cycling, taking a cab or most likely… use the infamous MTA subway. And though I like to take the bike and cruise around our hood, it doesn’t quite appeal to me to cycle to Brooklyn, Lower Manhattan or any other part of New York when it takes me more than 45 minutes to get there (forgive me, I’m a lazy bum :-)). So I take the subway and chill out for as long as the ride lasts from point A to point B. And what more fun is there to watch other people doze off and wake up (and doze off again) and all the funny poses they make for as long as the train takes thém from point A to point B. 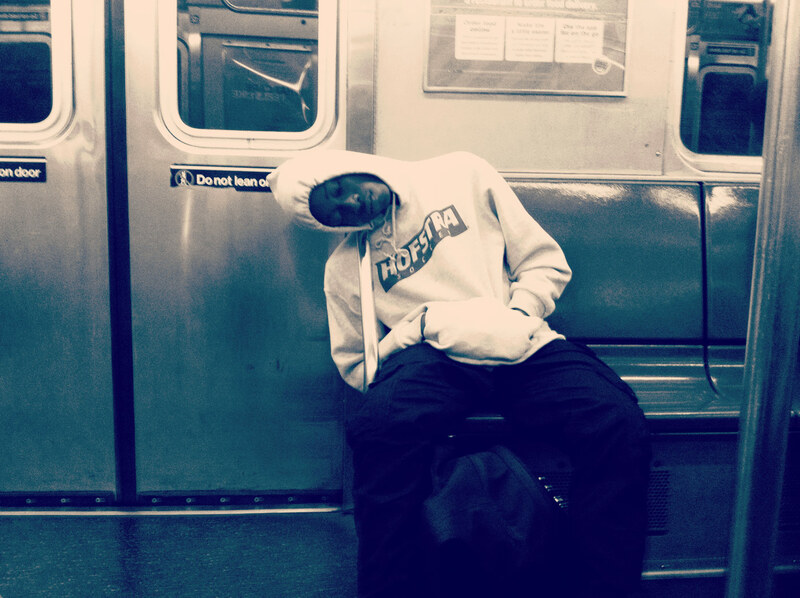 You can check out a selection of pictures I took over the last couple of weeks on my Facebook album which I simply entitled “Sleeping While Traveling… in NYC”.